Fork-tailed drongo. 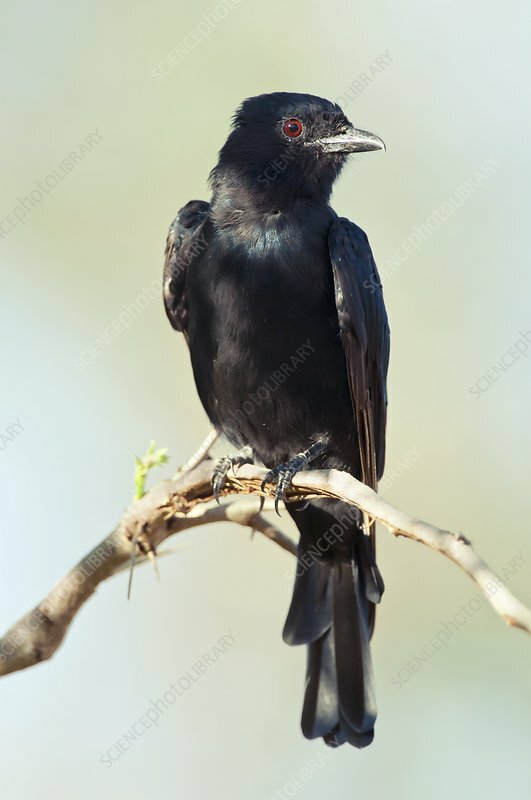 Juvenile fork-tailed drongo (Dicrurus adsimilis) perched on a branch. Photographed in Kruger National Park, South Africa.